Brothers Robbie and Brian La Blanc hit the ground running with their self-titled debut in 2005, and subsequently took the melodic rock world by complete surprise. Fans were made quickly. Critics around the world were calling the album one of the best of the year. It was well-deserved, and now four years later, history repeats itself. 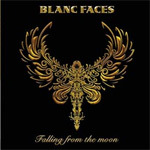 Falling from the Moon not only confirms what we all discovered in 2005, but eclipses that beauty showing that the Brothers La Blanc are master craftsman in the melodic rock genre. The exquisite meld of fine songwriting with mesmerizing melodies, expert musicianship, a beautiful mix (Dennis Ward, again, duh! ), and those soaring, immaculate, vocals and harmonies rise with power and envelope the listener in a majestic audio experience. Falling from the Moon, I Swear to You, and the simply brilliant arena roaring ballad, Everything are mere samples of the lavish vocal arrangements. Songs like I Come Alive and It's All About the Love successfully merge the style of both Toto and Journey into epic melodic rock. But, again, I'm just scratching the surface here. Falling from the Moon contains not a single wasted note or movement; this is first class music from beginning to end, a real pleasure. Strongly recommended! Brothers Robbie and Brian La Blanc score another hit with their sophomore effort Falling from the Moon. It's massive dose of melodic rock showcasing their trademark excellent songwriting and lavish vocal arrangements.